With Twilio I'd like to implement a service that sends inbound calls to a voice recording during specific times of day. Can Twilio provide this behavior? make that column null-able and don't set default value for that column and in asp.net page check if there are null then replace that to bank or "none"
Refused to display url in a frame because it set ‘X-Frame-Options’ to ‘SAMEORIGIN’. Convert data from Generic List to DataTable. Find Difference between 2 dates in Year, month, day, hour, minute, second and millisecond. I know its very late to write about AWS Lambda but i just learned AWS and writing vary basic things on AWS lambda. First of all we need to know what is AWS lambda. 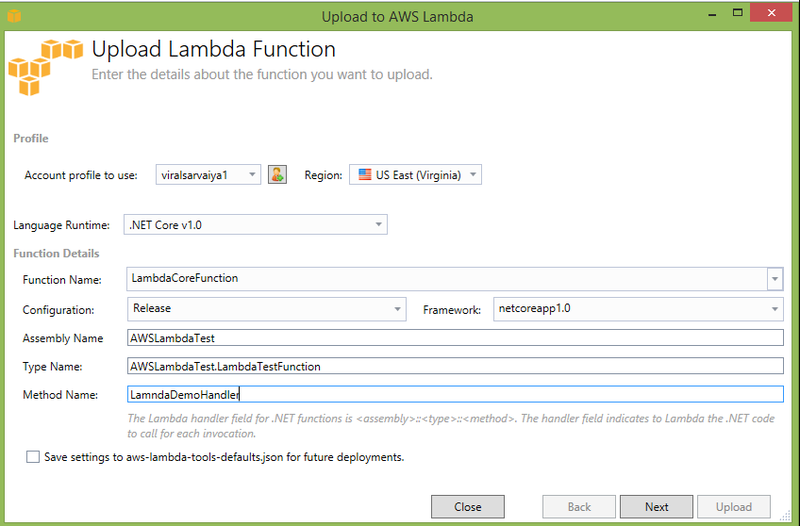 Lambda is compute service provided by Amazon web service that let you run your code without managing servers. 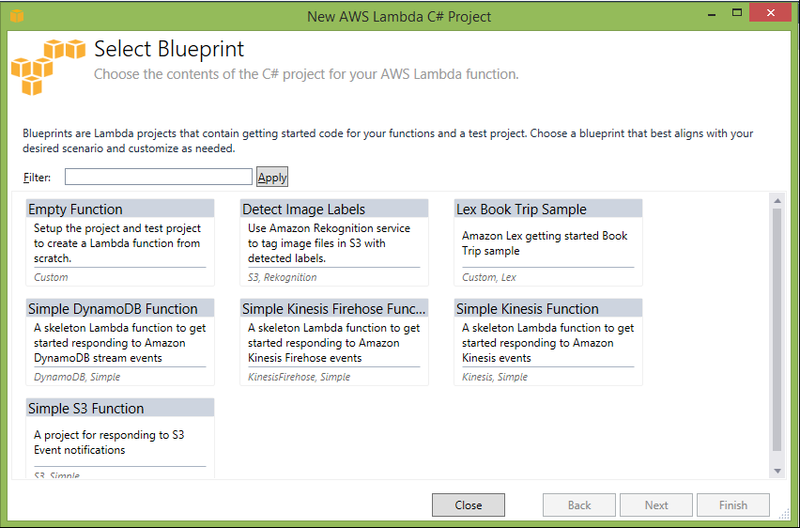 if you like to create small bunch of code or simple function that works for you into AWS Lambda. You can run code for virtually any type of application or backend service – all with zero administration. All we need to do is supply your code in one of the languages that AWS lambda supports. Currently AWS Lambda supports Node.js, Java, Python and C#. 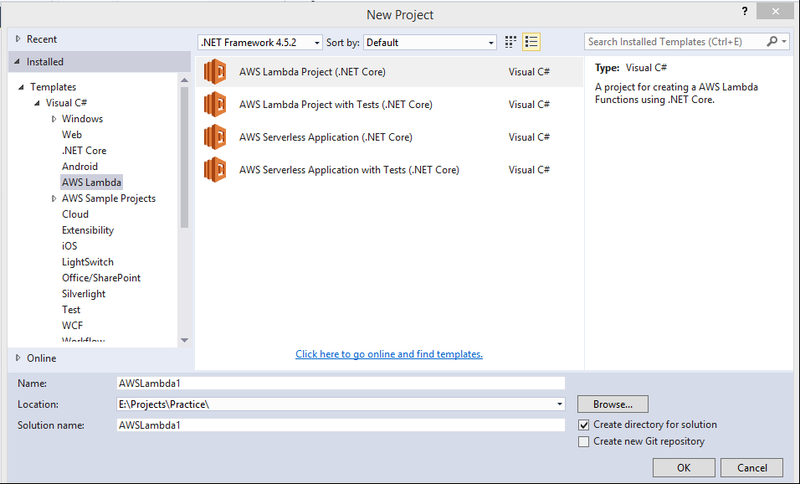 Prerequisites to Create New Lambda Function using Visual Studio and C#. 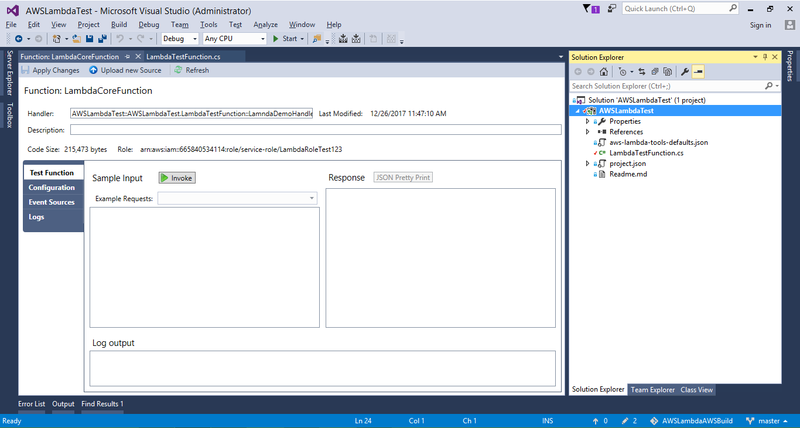 – Then we need to specify our credentials into AWS Explorer of Visual Studio. 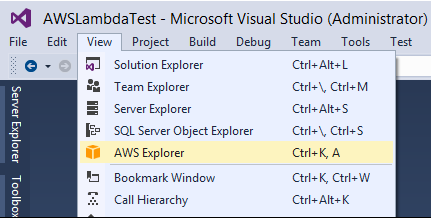 ○ After installing AWS toolkit it enables option of AWS Explorer into Visual studio -> View menu as below image. It will open AWS Explorer. ○ Click to new Account Profile and it will open below popup. 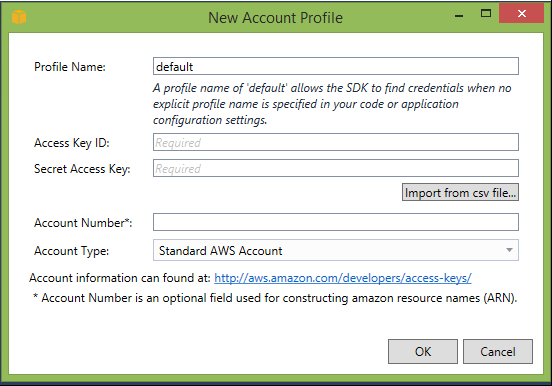 Add your AWS account’s Access key ID, Secret Access Key or you can import CSV file exported from AWS while creating user. Then click to OK at last. 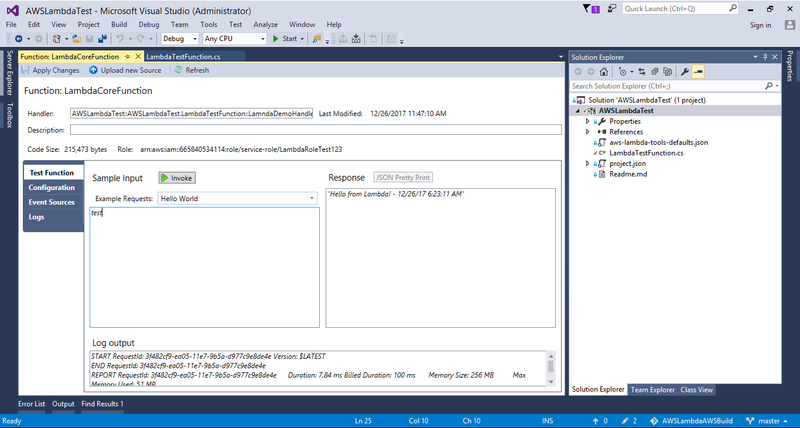 Create New Lambda function using Visual Studio. Now we are creating new project for AWS lambda function. – File Menu -> New -> Project, it will open new project selection popup. 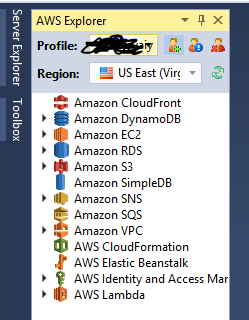 Select Installed pane from left side and choose AWS Lambda and then choose project type as “AWS Lambda Project (.Net Core). – After you select project type choose Blueprint, here we will choose Empty function. 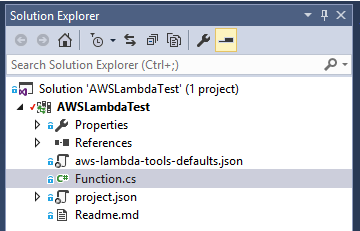 It will open default template for Lambda function, Listed all files as displayed into Solution explorer. And Function.cs file will have as below code default. // Assembly attribute to enable the Lambda function's JSON input to be converted into a .NET class. We can modify as per our need, we can also modify Class Name, Function Handler name. Body of function I am keeping as it is. – It will open “Upload Lambda function” window. – We need to confirm Account profile to use and its region where we like to upload our Lambda function. – If you are creating new Lambda function then write name into textbox or select existing Lambda function from same dropdown. – Click to Next for selecting Role and other configuration. – Require Role name, you can choose existing role which has access policy to upload Lambda function. 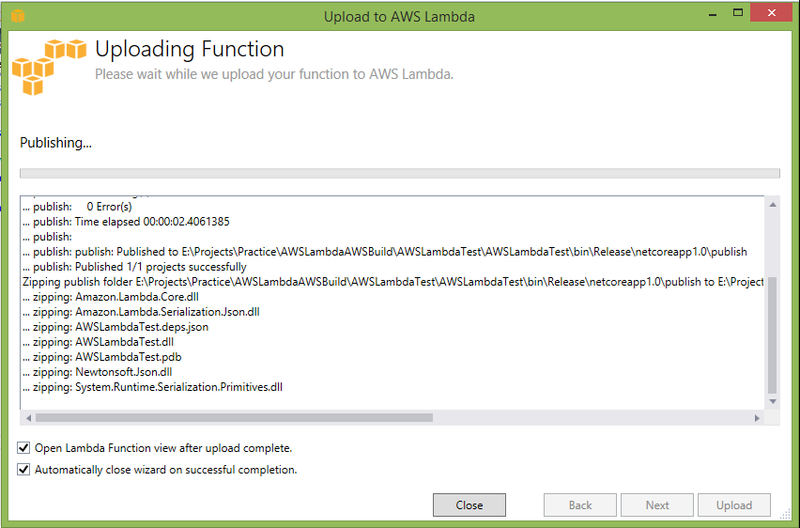 Or create new Role to upload lambda function. – If your Lambda function accesses resources on Amazon VPC then select VPC subnets. 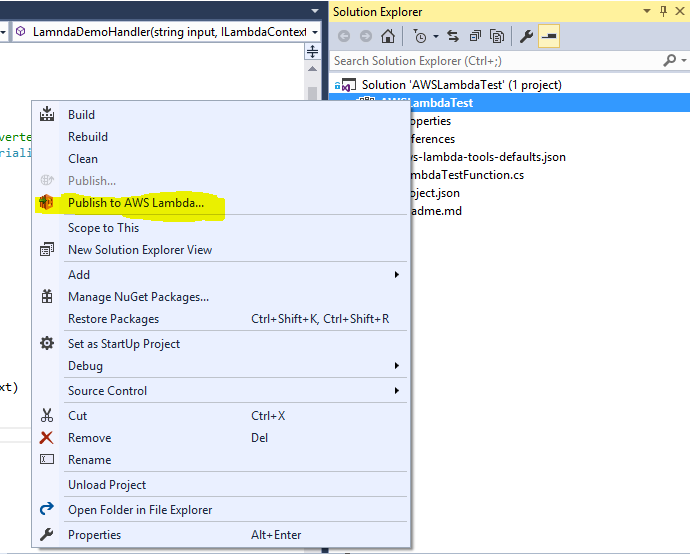 – Set environment variables if your lambda function require. Keys will be automatically encrypted by default service key. – It will upload Lambda function and automatic close when upload completes. – After function uploads it open Function page, use left tabs to test your lambda function, add event source, and view logs. – You can add subnet into Configuration tab. – Event sources tab is used if other source you have used, like Dynamo DB or etc. – Logs will display Logs for Lambda function. – From example Request dropdown you can choose your requests, here we are selecting “hello World” and typing string because our lambda function accepts string only. – After completing all configuration click to “invoke” and it will call our lambda function and display result into Response box and you can check log into log box. Now your lambda function is created and tested and ready for use. I know i am very very late in getting knowledge of this powerful principles but this is very nice article for getting knowledge of SOLID Principles for creating architecture of your project. here is some nice articles which explains in simple words and with examples. After a very log time adding new post in my blog. Few days before I get one problem that my MVC website is not opening in Iframe. This URL I am opening in Iframe tab like below. Refused to display ‘http://localhost/websitename/page’ in a frame because it set ‘X-Frame-Options’ to ‘SAMEORIGIN’. and it is not opening my website in IFrame. Open Global.asax.cs file, and add one method as below. This will open website in Iframe. Hope this will helps you. Hello All, after a long time.. I get very useful link which I like to share with you all. we can use linq in javascipt. surprised? click here to learn more about that. Toay i get good script of jQuery that detect mobile. So here its 3rd type to export to excel using Jquery. replace : this is also optional parameter, and its set. After a long time i get time to post in my blog. 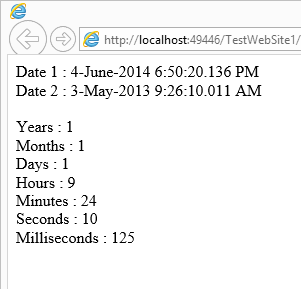 Few day ago i get very good function which finds difference between 2 dates. Now in default.aspx page i am using this structure to get difference between 2 dates as below. DateTimeSpan datetimespan = new DateTimeSpan(); // Create object of constructer to get difference. datetimespan = DateTimeSpan.CompareDates(Convert.ToDateTime(date1), Convert.ToDateTime(date2));  //Call static function of DateTimeSpan structure. which return difference of 2 dates. This will give difference in all possible ways as below output. But if we want to delete some or all Tables/Procedure/Trigger then what? have to delete one by one? We can create one loop with cursor to drop table/procedure/trigger for that as like below. we can create SP to delete perticulers of the database as passing text and type as a parameter. Stored procedure is as below. As like this we can also drop table constraints.